Event: Ravinia Village House 100th Anniversary Celebration. On November 22, 2013, Ravinians celebrated the 100th anniversary of the community’s Village House. Learn more about this institutions and how women’s clubs shaped early Highland Park. 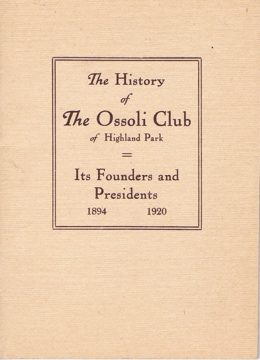 The Ossoli Club was the first Woman’s Club in Highland Park.